Neal’s Yard recently hosted a Neal’s Yard storytelling to celebrate its past and imagine its future. The event marked the 40-year anniversary of the opening of the Neal’s Yard Wholefood Warehouse, which was the start of an alternative Neal’s Yard. It also celebrated the publication of The Neal’s Yard Story, a re-release of Nicholas Albery’s 1987 booklet about Neal’s Yard, with a new foreword by Anja Saunders, bringing the story up to date. Full of photos and first-hand accounts, it is a fascinating tale of a piece of living social history and is available to buy from the Kindle store or as a free download. The Neal’s Yard Story event was filled with Neal’s Yarders who shared the past, current and future stories of Neal’s Yard, from its earliest days with Nicholas Saunders and the birth of Neal’s Yard Dairy, Neal’s Yard Remedies, the World Food Cafe, Monmouth Street Coffee and more, to its newest members of the community, such as 26 Grains. Among the laughter and reminiscences were full-hearted discussions of “what does Neal’s Yard mean to you?” – what are its values, what are the things that make it special and need to be treasured and enabled to grow and flourish as a unique community? We’ll be continuing the discussion over here – please join in. The front cover of The Neal’s Yard Story. Read it here or at the Kindle store! Want to know more about the extraordinary history of Neal’s Yard and the incredible community and businesses that have grown up in it? We’re delighted to have republished Nicholas Albery’s 1987 booklet about Neal’s Yard, with a new foreword by Anja Saunders, bringing the story up to date. Full of photos and first-hand accounts, this is a fascinating tale of a piece of living social history, right in the heart of London’s Covent Garden. 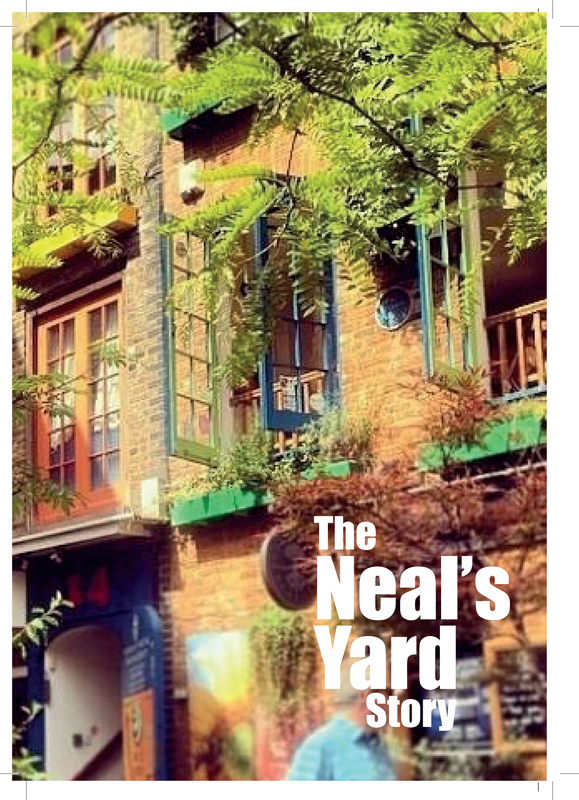 Download The Neal’s Yard Story from the Kindle Store, to read on your Kindle app or device. It costs £4.99 and all proceeds go to The Natural Death Centre, which was set up by Nicholas Albery. Guess what? Someone got it in their silly head to put motor oil in three of the planters. Why? Well, they didn’t leave an explanation but the result was that the soil got poisoned and three trees died. As a little compensation for the madness around the balloon filming we managed to get three new trees from the company: snowy mespilus, which has lovely white flowers, edible berries in July and rich autumnal tones; Japanese maple, with beautiful maroon foliage; and camelia, which bears luscious white blooms. The soil had to be dug out and replaced and here you see the new trees ready to share their freshness and greenness with all who come to Neal’s Yard. 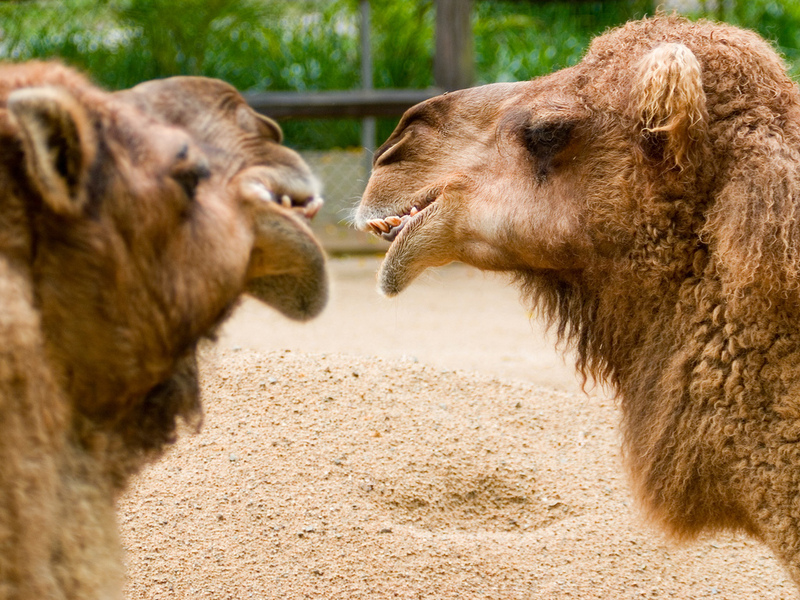 Give them a caring warm welcome when you visit and let us know on this blog what you think about them!